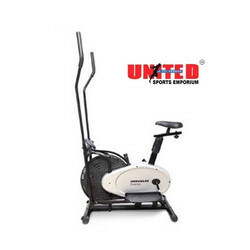 We offer a wide range of Exercise Cycle that is manufactured using high quality raw material and sophisticated technology under the guidance of skilled professionals in order to follow international norms. 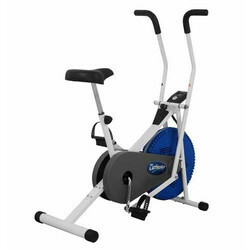 Our offer Cycles are ideal for exercise purpose. In addition to these, our esteemed clients can avail these Cycles from us in varied specifications.We also provide in all over south India including, Chennai, Coimbatore, Trichy, Tirunelveli, Madurai, Salem, Kanyakumari, Kerala, etc. Our clients believe on us because of our quality and service. And they know our products are worth for their money. 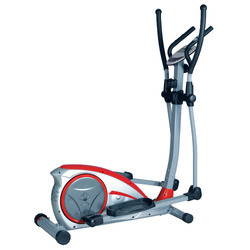 We are the leading manufacturer and importer of Elliptical Exercise Cycle in tirunelveli, Tamilnadu. We supply all over south india including Tamilnadu and kerala. We are the leading Manufacturer of Orbitrack Exercise Cycles.From our wide range of products, we are offering optimum quality Exercise Cycles to our clients. These Cycles are designed and fabricated using the best quality raw material and latest technology with high precision in order to meet the set industry quality standards. Our offered products are widely utilized in gym and health clubs. Clients can avail these Cycles from us at market leading prices.